Open to All Nationalities, All belts, Juveniles, Adults and Masters. The Supreme Organizing Committee shall be entitled to close the registration in case the number of registered players reaches the required and appropriate ceiling. 22/Feb : No Gi& Gi . Athletes should make sure that all your registration information is correct from the fighter's list. Check your Name, Weight, Gender, Age, Belt, and Academy! If there are any errors on your application or your name is not included on the list, changes should be made until the deadline, requests sent after the correction deadline will be ignored. All academies must be registered in order for its students to register in the competition. All the documentation must be properly filled when applying your affiliation online. All athletes with pending and/or incorrect documentation won't be able to register for the tournament, as they need to have their request approved first. You must bring the ID at the event before their fights, otherwise, you will not be able to compete. 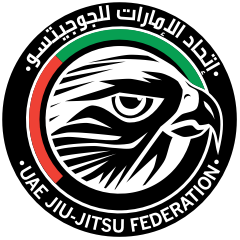 Any false information provided during registration such as DOB but not limited to; may leed to immediate disqualification; such actions are subject to suspension or even banishment from future UAEJJF events. ** If there are only one or two players, the division will be canceled and they will be moved to the next divisions, 3 (three) is the minimum players for the division happen. The registration fee is 100% refundable. If you would like to cancel or make any changes you have till the day before registration check day to request a change on your registration or full refund. The players must wear Kimono to receive their medals in the podium (not allowed hats, earphones, sponsors’ t-shirts or another kind of advertise). Not allowed to hold club t-shirt or teams flags on the Podium. If there are three players, they will receive their medals but there's no prize money. The division must have no less than 4 athletes from different academies to receive the prize money (in others case the division runs normally but there is no prize money). Avoid problems, perform a checking list correctly, and make your check into the day stipulated. Make sure to have clean clothes and GI uniforms in proper condition. Be respectful to the staff, officials other athletes and coaches. In turn, they will show you the same courtesy.